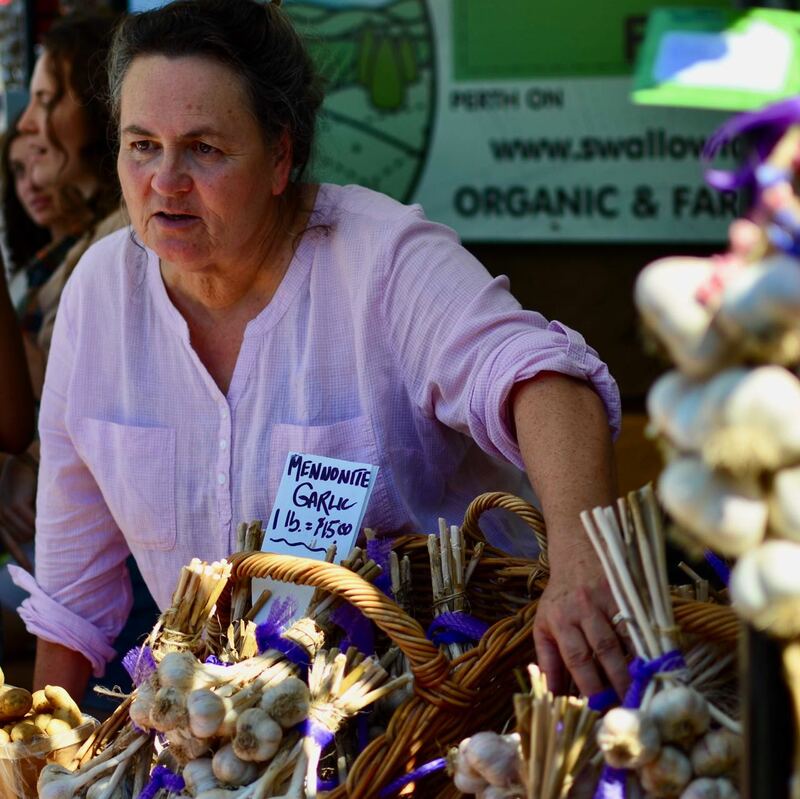 The Toronto Garlic Festival is an annual celebration of all things garlic. The festival was founded by Peter McClusky to promote the garlic industry in the province of Ontario. 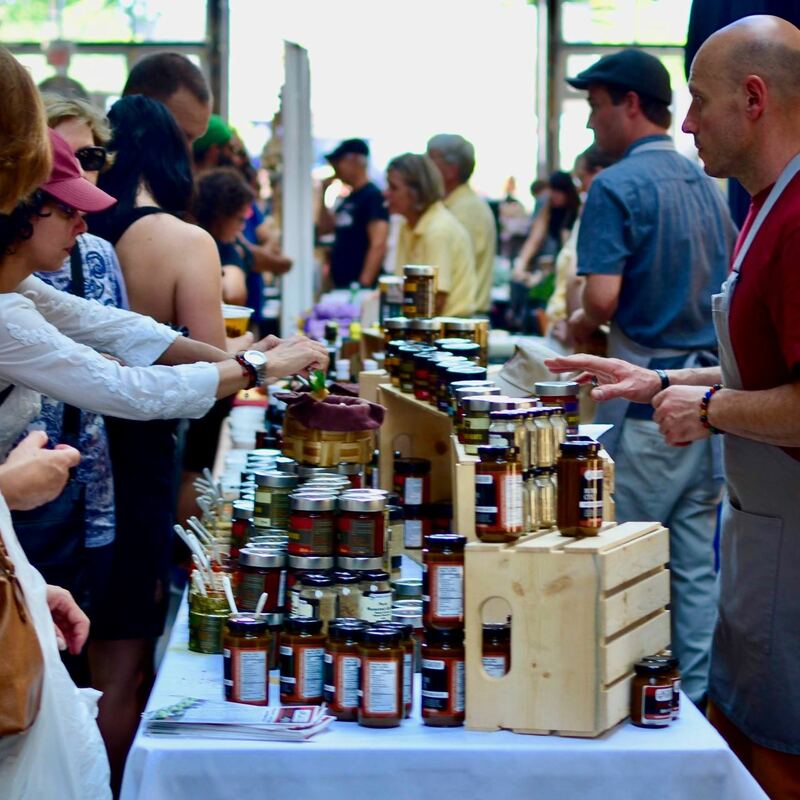 Since 2011, the annual Toronto Garlic Festival has featured Ontario farmers and chefs who showcase their latest crop and culinary creations. Garlic is available for sale at the festival, as are garlic-themed food and drinks. 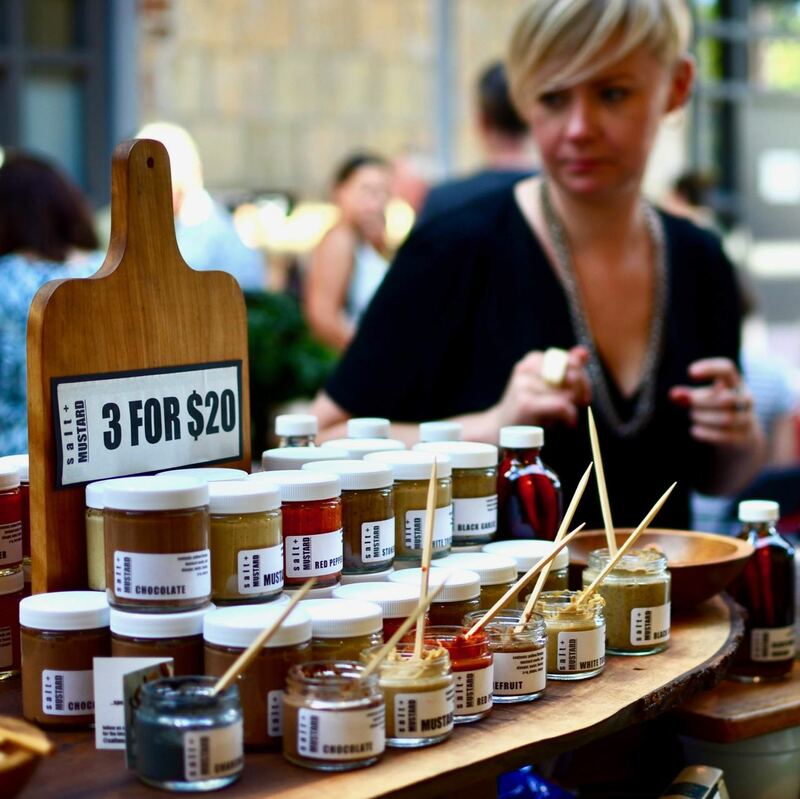 The festival also features live music from local artists, as well as workshops and cooking demonstrations. Every year, the Toronto Garlic Festival commissions a Canadian artist to create a poster to be used in promoting the festival. This year, Alyssa Cooper created a piece depicting a bulb as it is being harvested in earth tones evoking the earth, sun and sky. Garlic is a bulbous plant related to onions, shallots, chives and leeks. Garlic is native to Central Asia and Iran. People have been using garlic for thousands of years, with the first recorded use of garlic for food flavouring and medicine by ancient Egyptians. China is currently the largest producer of garlic, supplying 80% of the world’s garlic requirements. The name garlic is derived from a combination of two words, the Middle English word “gar” (which means spear) and “leek”, as in a spear shaped leek. Garlic used to be a cottage industry in the province of Ontario until the 1980s. Today, garlic farmers are engaged in full-scale production of the plant, making garlic a sustainable crop in Ontario. 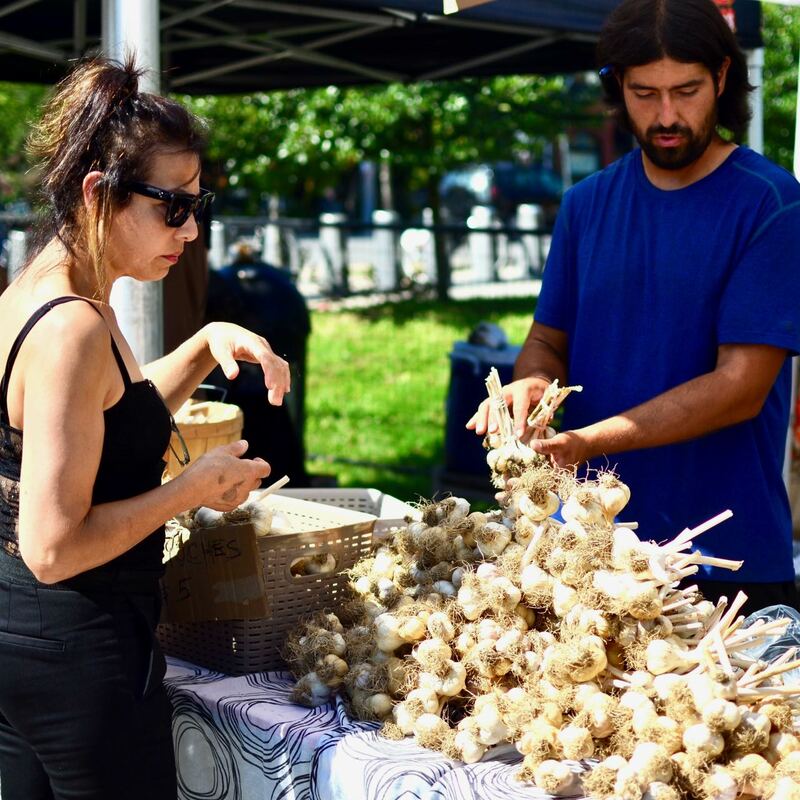 Demand for locally grown garlic’s at retail locations such as Sobeys, Metro and Loblaws has certainly helped local farmers. Garlic is a cool season crop which is planted in the fall and harvested in the summer. Ontario garlic farmers typically grow two unique types of garlic in the province: hardneck garlic and softneck garlic. Hardneck garlic has a tall flower stalk and requires up to two years of growth before producing acceptable bulbs. Varieties of Ontario hardneck garlic include Rocambole, Porcelain and Purple Stripe. While hardneck garlic produce larger cloves and are more resilient in the winter, softneck garlic have a longer storage life. Varieties of Ontario softneck garlic include Silverskin and Artichoke. During the off season, local garlic is available in individually quick frozen packages. These packages contain whole garlic cloves that are peeled.